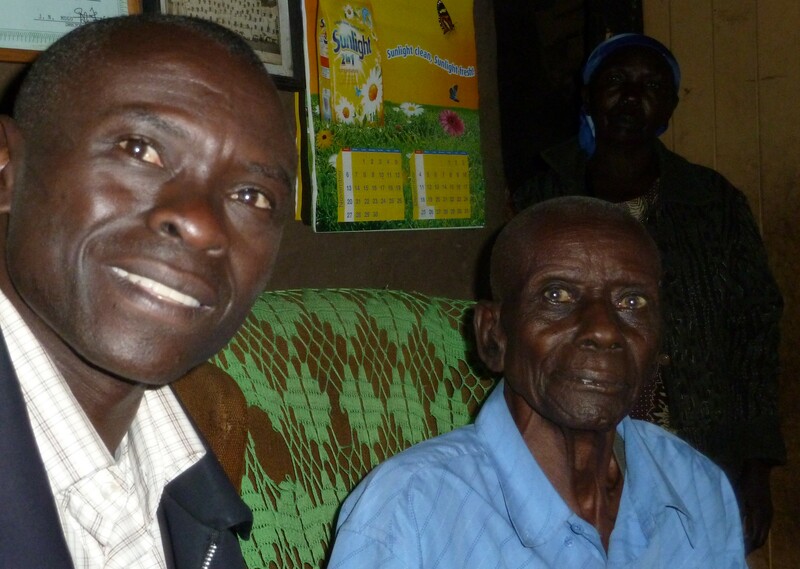 I learned the sad news this morning that Simeon Mwanga, a man who helped care for my family in Kaimosi, Kenya, back in the mid-sixties, passed away this month at the age of 97. I had the wonderfully moving opportunity in December to visit with mzee Mwanga at his shamba in Chepsonoi. It was my first time back to Kenya in 45 years, and I was amazed and deeply grateful to see him again and to be able to say thank-you for taking care of me so long ago. My heart goes out to his entire family, and especially to his grandson, Josphat Lime Jiveti, who so kindly brought us together. I’m sure your visit was a treat for Simon as well. I’m convinced that meeting Josphat in Kaimosi and and then visiting with Simeon were not happenstances. Seems to me it is more evidence that you were called to Kenya and that your fine edge has been quickened by your time there. So good to hear from you, Josphat. I feel blessed to have seen Simeon Mwanga after so many years, thank you again for making that possible for me. I hope it will be possible some day for my brothers to visit, although none have plans at this point. For now, they visit Kaimosi through me! By the way, I have tried to reach Silas without success — do you have an email address I might try?